“All Drive. 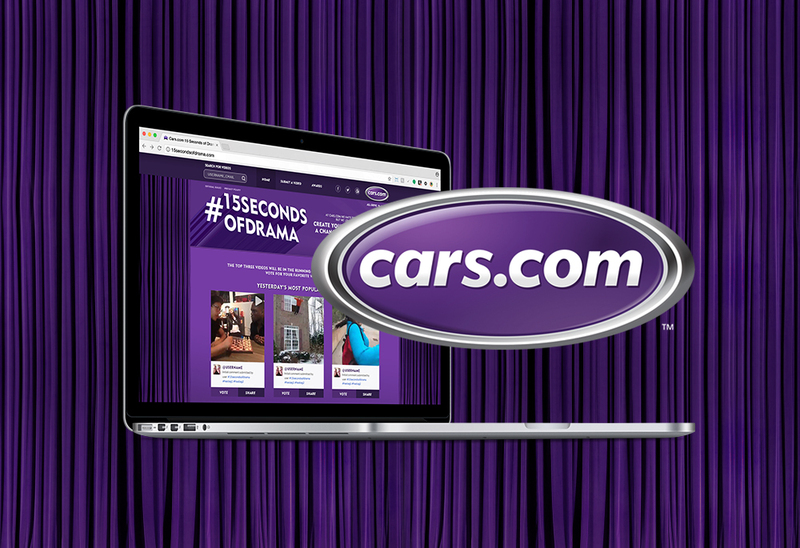 No Drama.” That’s the Cars.com tagline. 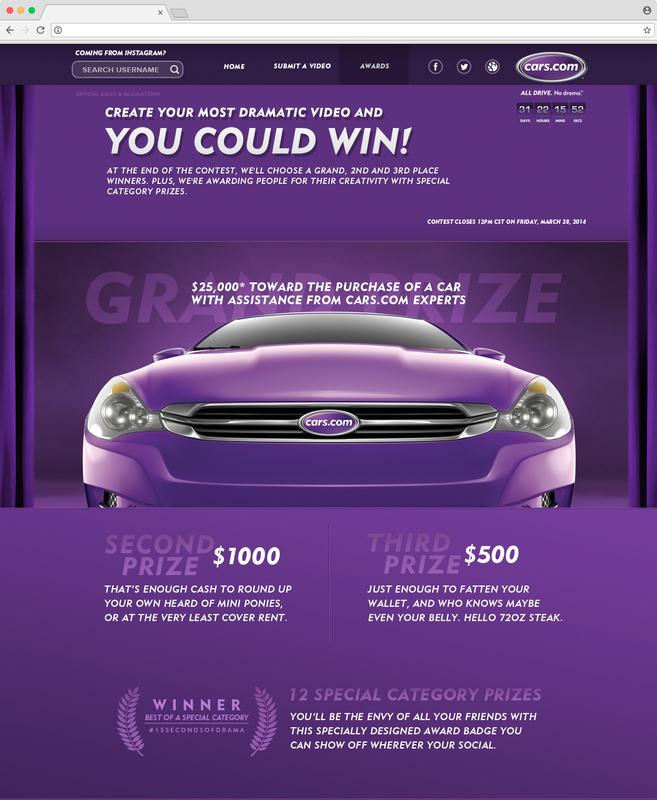 But would you go through just 15 seconds of drama in order to win a new car? That’s what the #15SecondsOfDrama campaign asked. 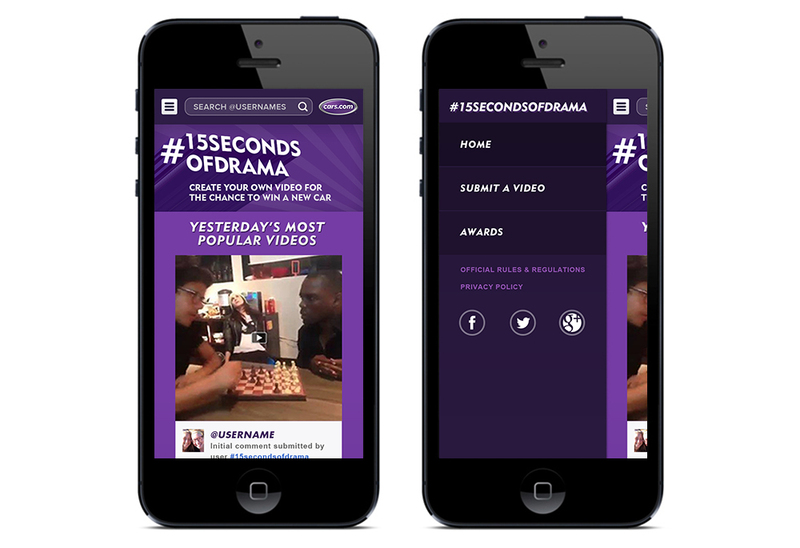 It was a video contest where contestants would upload a 15-second fun, unique, drama-filled video to Instagram in hopes of winning $35,000 toward a brand new car or one of the other monetary prizes. 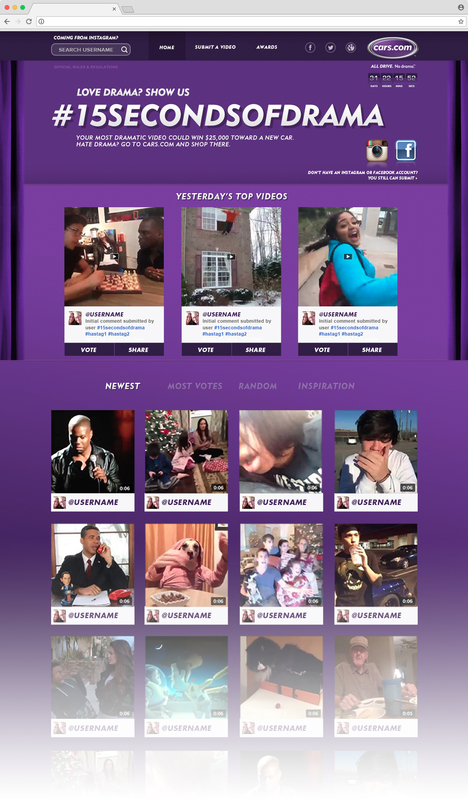 I was responsible for designing the website that hosted the contest, submissions, and rules. It was a four-phase project: 1) Introducing the contest, 2) Contest and voting are live, 3) Contest closed and judges deliberating, and 4) Announcing the winners. Each phase required me to create and lay out new content.